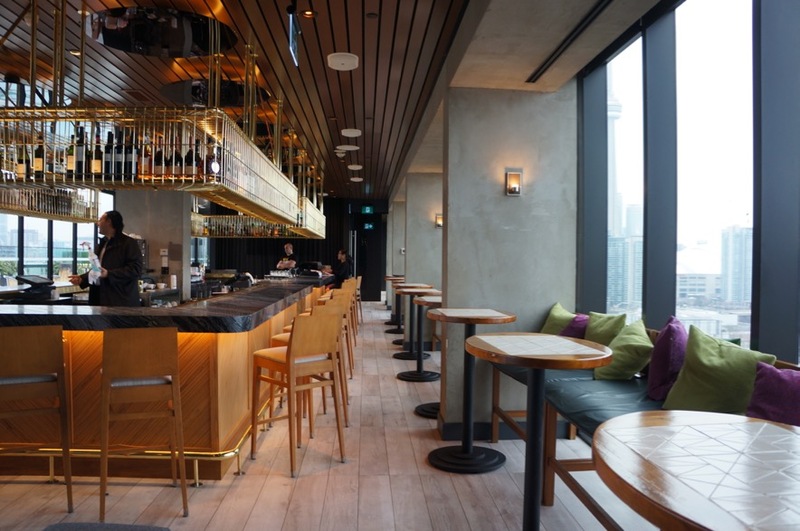 While this King West hotspot might only be known as a summertime destination, this stunning venue also features an indoor restaurant and lounge area which is open year-round. 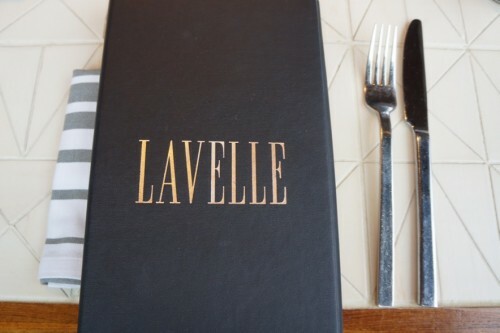 Lavelle opened up last summer on the rooftop of a condo building, 16 stories above King Street. 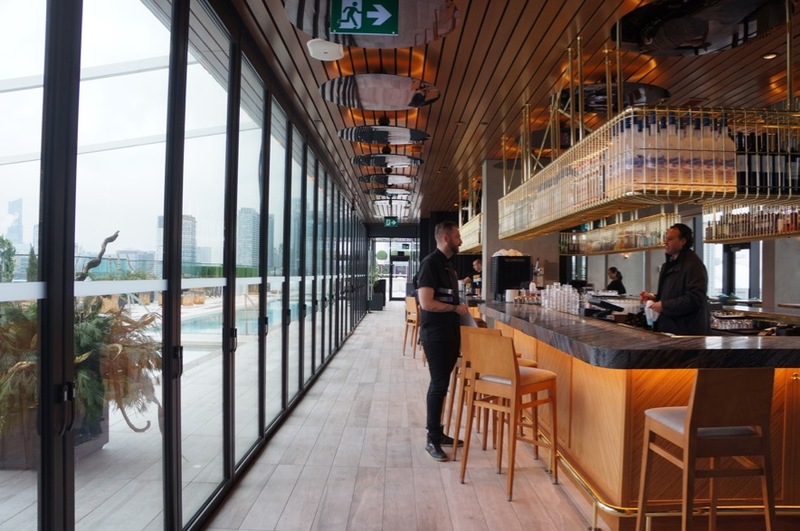 The 16,000 square foot space features a beautiful outdoor pool, cabanas, a dining room as well as a lounge and bar area. The indoor space is surrounded by tall windows to take advantage of the unobstructed views of the city. The restaurant is open for lunch from Tuesday to Friday from 11am to 3pm and for dinner from Tuesday to Saturday from 5pm until late. Brunch is also offered on weekends from 11am to 3pm. 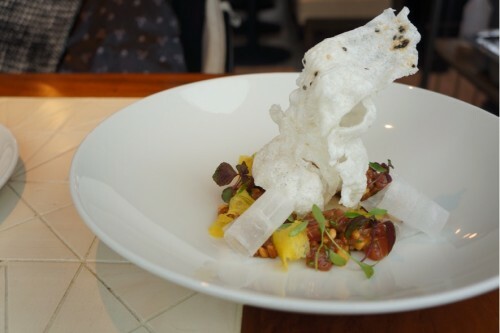 Mike and I were recently invited to check out their lunch service and we were thoroughly impressed with the food coming out of the kitchen which is run by Executive Chef Romain Avril who was previously the Executive Chef at La Société. 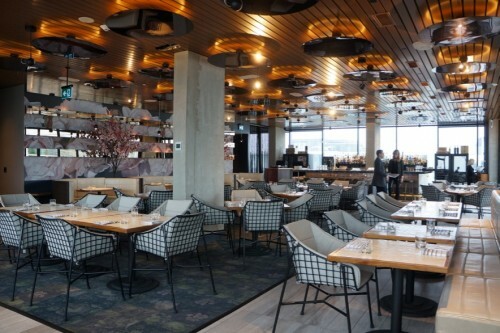 The lunch menu consists of raw dishes including oysters and tartare, salads (from $11 for the organic green salad to $19 for the steak and kale salad), toast/sandwiches which are all served with frites ($16-$19.50) and entrees like agnolotti and steak frites. 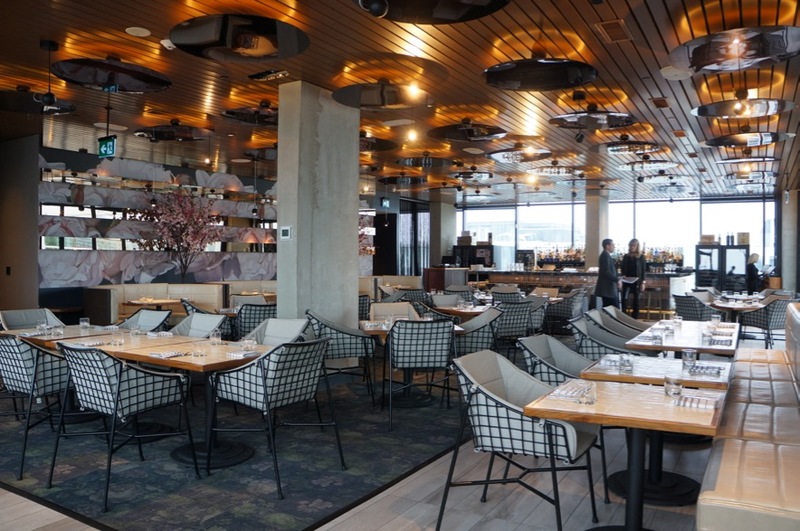 If you feel like opening up your wallet, there’s a seafood platter with oysters, lobster, crab, tuna tartare, shrimp and smoked salmon for $96 or $172 for four people. For a more economical option, they also offer a lunch prix-fixe which includes three courses for $29. 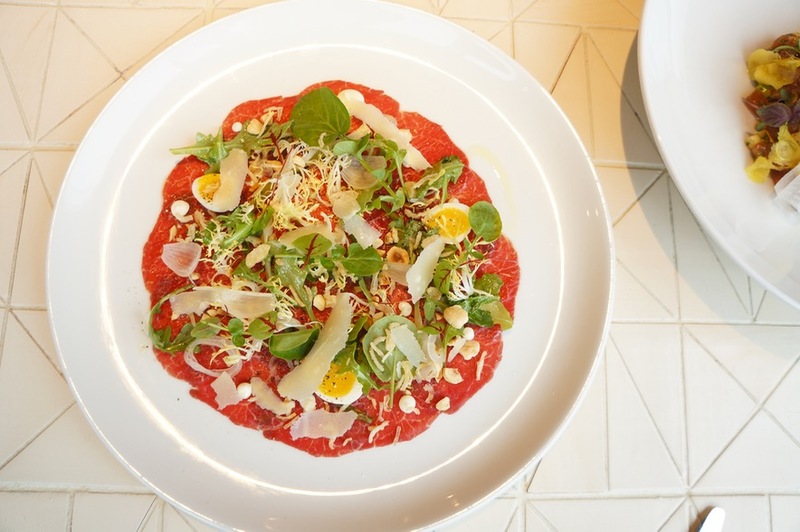 Beef Carpaccio – olive oil, roasted hazelnut, quail egg, crispy shallots, parmesan ($17). A pretty plate consisting of thinly-sliced beef, topped with greens, parmesan, and oozy quail eggs. A classic combination. Tuna Tartare – soy dressing, daikon, cracker, pickled ginger, cilantro ($24). I loved the playful presentation with the large rice cracker. The concoction was a delicious poke-like tartare. I loved the soy dressing and appreciated the fact that the ginger flavour wasn’t overpowering. Highly recommended! 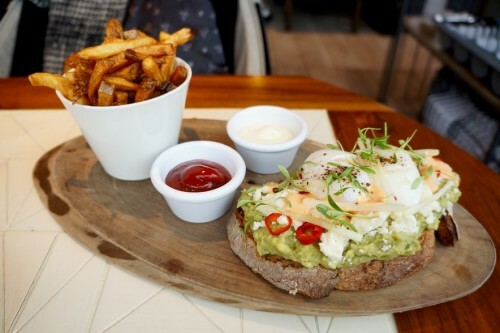 Avocado Toast – feta, granny smith apple, spicy mayo, soft poached egg, red chili, grilled sourdough ($17). We’ve somehow been able to resist the restaurant avocado toast craze. We often make it ourselves at home but I can safely say that we’ve been missing out. Our amateur avocado toast just can’t compare! We loved Lavelle’s take on it. With the briny feta, creamy avocado, spicy mayo, fresh apple matchsticks and soft poached egg, there was a lot of deliciousness happening here. Pappardelle – vanilla & saffron lobster bisque, tarragon, truffle, lobster ($25). 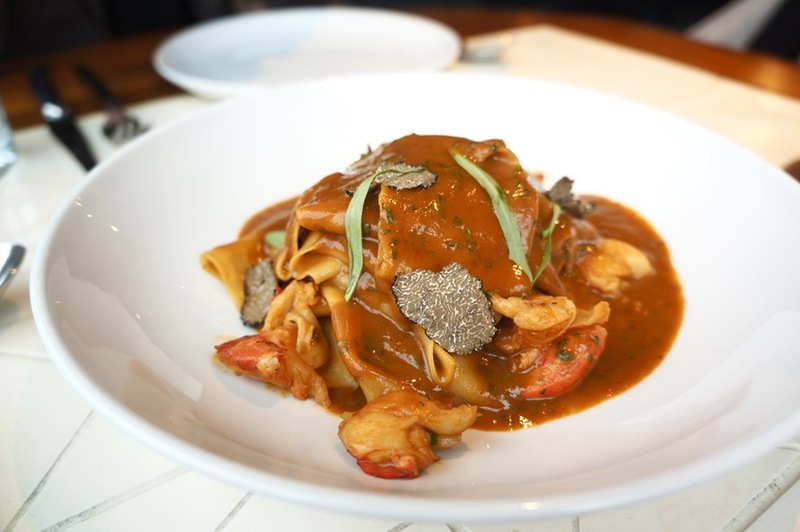 Thick ribbons of al dente papparedelle was coated in a generous amount of lobster bisque and topped with shaved truffles for a bit of indulgence. It’s a very substantial dish for lunch but incredibly satisfying nonetheless. After the pappardelle, we didn’t have any room left for dessert. But for those who want to end their meal with something sweet, they offer a selection of tempting options like key lime pie, ice cream and chocolate crème. 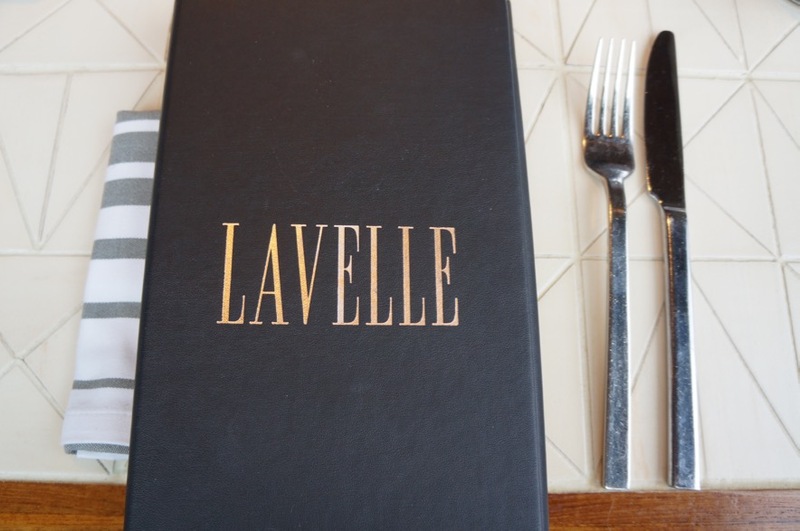 We had a fantastic lunch at Lavelle. With a great selection of menu offerings, there’s something for everybody!